The Horley Town Council Office provides administrative support to the Town Council. There is a team of four Town Council Officers, headed by the Town Clerk, Joan Walsh. If you wish to contact any member of the team, you can phone us on 01293 784765 or email using the appropriate email address below. Alternatively, click on CONTACT at the top of the page. Joan has worked at Horley Town Council since 2009 and was appointed as Town Clerk in January 2018 following the retirement of the previous clerk, Alan Jones. Joan states that “it is a role I very much enjoy due to the ongoing support from the Councillors and excellent team spirit approach with my colleagues. I gain much job satisfaction in not only helping out the public where possible, but also being involved in a wide variety of community focused projects for the benefit of Horley. I started on my career path as a legal secretary at a number of London based firms, and then as a PA at a local actuarial consultancy group. When I returned to work after having a family, I worked as a duty supervisor for a private medical and assistance services provider, during which time, I successfully completed a diploma in Call Centre Team Management. Before joining the Town Council, I was employed as a Call Agent for the National Crimestoppers Bureau, and as a Customer Service Agent for Surrey Police". Carol has worked for Horley Town Council for 16 years as Deputy Town Clerk and has seen many changes in the Town during this time. Carol adds “I conduct a variety of duties. Apart from general administrative duties, I prepare papers for all Council meetings and attend the meetings to take minutes. One of my main roles is liaising with the several contractors responsible for the parks and playgrounds in Horley. I am also the Town Council coordinator for the Horley in Spring, Horley in Bloom and South & South East in Bloom competitions. Working for the Town Council can be challenging at times, however the job is extremely varied and we work well together as a team (both staff and members). minutes etc. I worked at South East Employers for eight years and came to Horley Town Council after their offices moved to Winchester. Carol was appointed as RFO in July 2015. 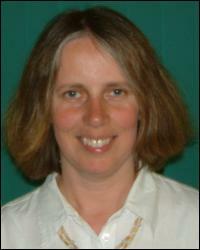 Judy joined Horley Town Council in 2017. She comes from a background in public service and the third sector and is enjoying the variety of work at the council, the collegiate working environment and contact with the public. "I like helping with a diverse range of queries. Although we are often signposting to other organisations, it is good to think that we have set people on the path to a solution. I enjoy the work at the Town Council and like working together with my colleagues to provide a good service. I am keen to learn about the Town and all we have to offer. Apart from general administrative duties, I support the Finance and Planning Committees and am also responsible for the Hall Hire, Football Pitch and Banner Bookings. I began my working life at Midland Bank (Now HSBC) before moving on the Home Office where I had a wide variety of roles, including supporting Ministers. Whilst my children were young, we lived in several other countries and I did an assortment of voluntary work, including being a School Governor. I returned to work at Mid Sussex District Council as a Democratic Services Officer supporting Councillors. More recently I was the business administrator at a Pre-school. I am a qualified HR professional and an associate member of the Chartered Institute for Personnel Development."